Previously, in his 25 years as a journalist with The Guardian newspaper, he served as bureau chief in Moscow and the United States, as well as European editor and assistant editor. A regular broadcaster on the BBC, National Public Radio and CNN, and panelist on Inside Washington and The McLaughlin Show, he is also a senior scholar at the Woodrow Wilson International Centre for Scholars in Washington DC, a senior fellow of the World Policy Institute at the New School for Social Research in New York, and a contributing editor of the Los Angeles Times's Opinion section and of Europe magazine. After some hairy nights in the burning suburbs outside Paris, covering the riots for an international news agency, I went down to my house in the Vezere valley to rest and to write. So on the night that President Jacques Chirac was to address the nation and its discontents on TV, my friend and tennis partner, the chief of police of my town, invited me to his home for dinner. I was just me, his family and his excellent cooking, and Chirac’s baffled and pompous speech about the emergence of a France he no longer understood. My policeman friend was also getting worried. In Bordeaux, the big city just 90 minutes away, cars had been burned in front of the Prefecture. In the market, people talked in hushed voices about a local woman living in Paris who had been gang-raped by a gang of young Arabs. And just down the road from my home, the women of one of the immigrant families who had moved into the area had started to dress in headscarves and black chadors. Along our country lanes, the road signs began to be daubed with graffiti for the Front National, the anti-immigrant right-wing party whose leader Jean-Marie Le Pen had beaten the incumbent Socialist Prime Minister to take second place in the Presidential election. There were fights in the school playground between white and Muslim kids, who stopped coming to the tennis and rugby lessons that my policeman friend had run for all the schoolchildren. The national mood was worried and becoming ugly and the ripples of this were invading our own placid corner of La France profonde. 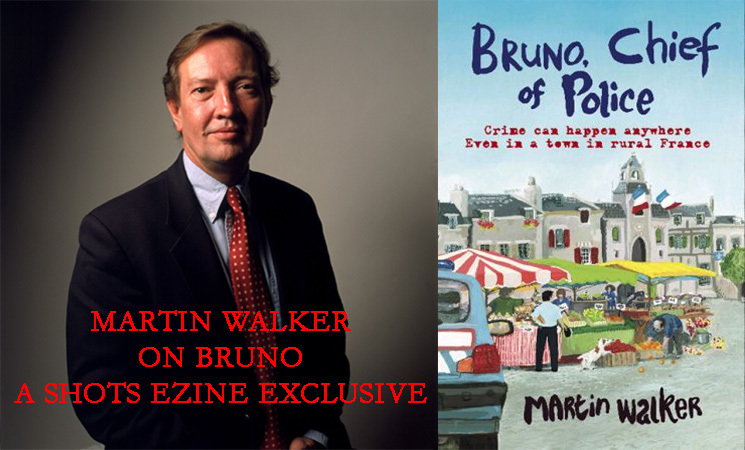 This was the backdrop for my novel, Bruno; Chief of Police, the sharpening contrast between a rural France that felt its charms and traditions to be timeless, and a growing, insistent reality of social, cultural and economic change. It is also about the way that decent people, like my hero, get caught up in these tumults and find themselves having to make serious personal and moral choices that entail profound consequences. Intruding into all this comes the secret history of France, the enduring impact of those four brief years of German occupation in World War II and the lasting divisions it forged between those who resisted and those who collaborated. But all of this happens in a corner of France that firmly believes itself to be one of the most agreeable spots on earth. History confirms that belief; the cave paintings of Lascaux, the burials and the archaeological sites demonstrate that the valley of the River Vezere is the one place on the planet to have known constant human occupation for the last 40,000 years. Its fertility and its climate, its rivers and gentle hills explain the attractions of the past, while the foie gras and truffles and fish and game that make it the gastronomic heartland of France bespeak its enduring allure. The train from Bordeaux to our village also serves the small towns of St Emilion and Pomerol. Our local café serves the finest croissants I have ever tasted. Our neighbours make their own pate and rillettes and sausages, serve tete de veau and brandade de morue for the daily lunch, and have even been known to tread their own grapes. I love the place, and am devoted to many of the local people who have helped inspire various characters of my novel.